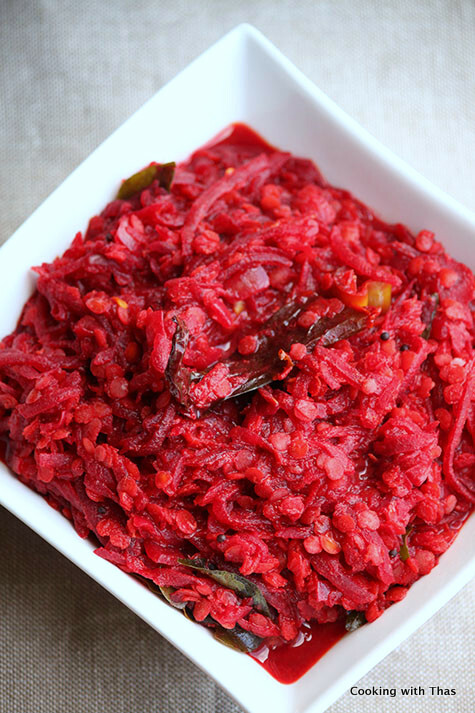 I usually make Kerala style thoran or stir fry with beetroot and coconut. The other day, I made something different by adding red lentils and yogurt to the beetroot. I loved the addition of red lentils in this dish and I let the lentils remain slightly crispy rather than making it mushy. The bite of slightly crispy lentils was amazing and the yogurt gave it a slightly tart taste. 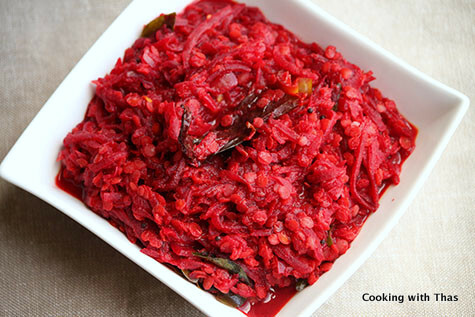 This vibrant dish not only makes a perfect side dish but a healthy one too it’s packed with nutrients and vitamins. Place a saucepan over medium heat, add oil, let oil turn hot. Add dried whole red chilies and curry leaves, saute for a few seconds. Add chopped onion, season with salt. Saute till translucent. Add shredded beetroot, cook covered for a few minutes till raw smell of beetroot goes away and has almost cooked. Add chili powder, turmeric powder, coriander powder and salt. Combine well. Add red lentil, combine well. Add water and cook covered till lentil has turned slightly soft- do not overcook the lentils, let it be slightly crispy. Finally, add beaten yogurt, combine well and cook for 2 minutes. 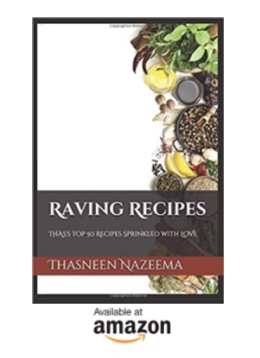 This can be served as a side dish along with rice or roti. I shredded the beetroot in a food processor. Or use a grater to grate/shred the beetroot.